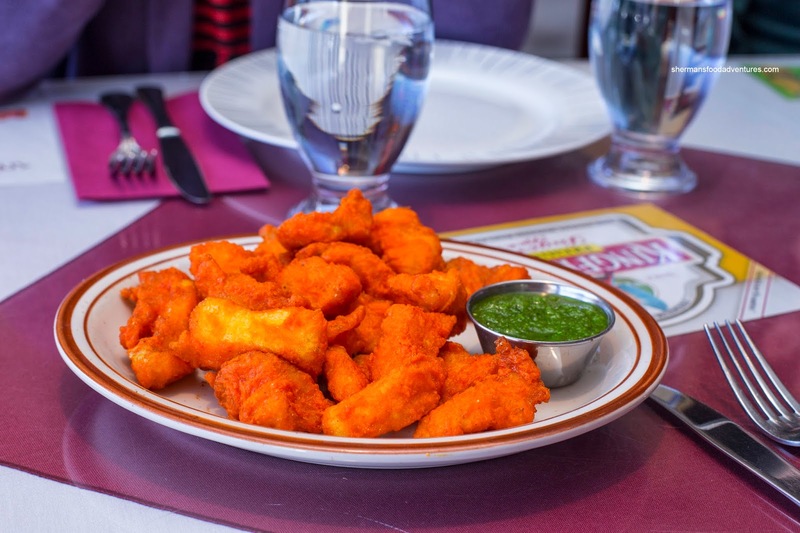 Originally, Ginseng and Edubs joined me to try the lunch buffet at Agra Tandoori, but due to the limited selection and overall mediocre experience, I never blogged about it. However, with a Groupon staring me in the face, it was a good enough reason for all of us to return to try the a la carte menu. Ginseng was able to round up 2 more additional eating buddies which mean more food! Despite being only accepted during dinner hours, the owner made an exception for our Groupon. 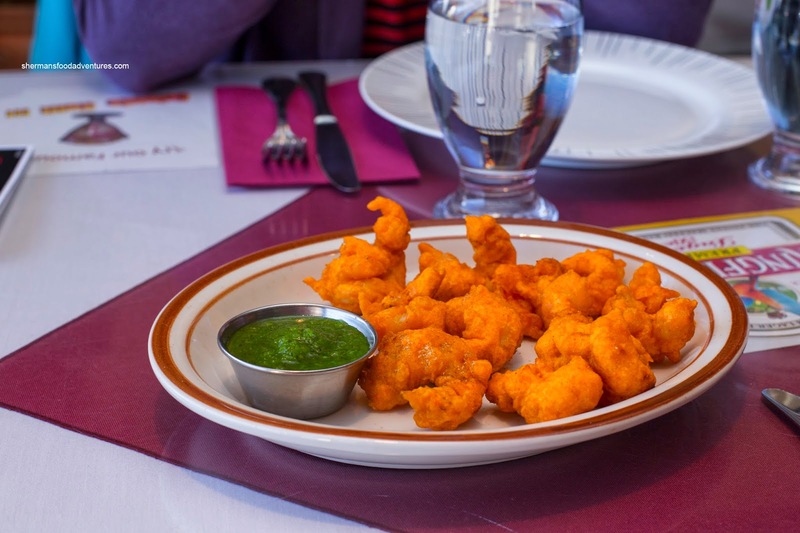 We started with one order each of the Shrimp Pakora and Fish Pakora. Possibly since they were fried first, the shrimp were not as crunchy as the fish (or hot). Also, due to the shape of the shrimp, more batter had adhered to it. With that being said, they were decent with meaty shrimp that was not overcooked. As for the fish, they were fantastic. Served piping hot, the thin layer of batter was crisp and not greasy. Inside, the fish was moist, flaky and light. Along with the mint and coriander chutney, there were hits of cumin as well. 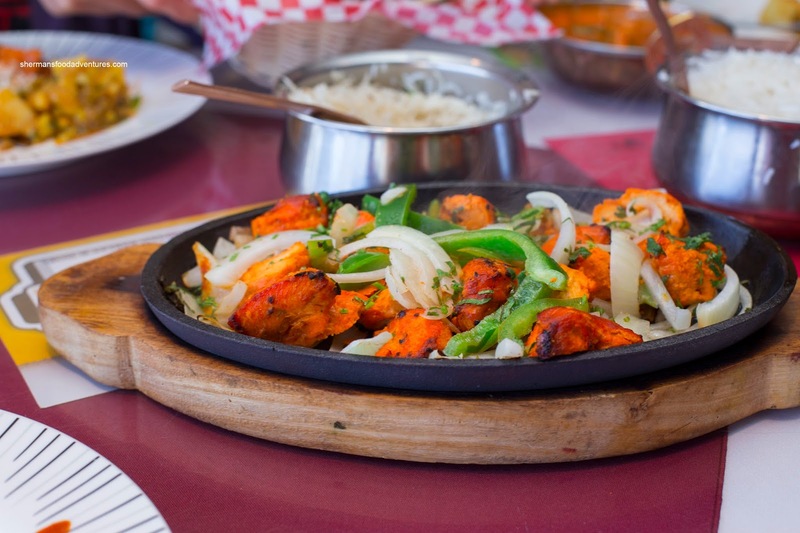 Onto the mains, we had Chicken Tikka served on a sizzling hot cast iron plate. This modest portion consisted of marinated chicken, onions and peppers. Although the chicken had good colour while benefiting from the extra sizzle, the meat was on the drier side while being very mild in flavour except for some smokiness. 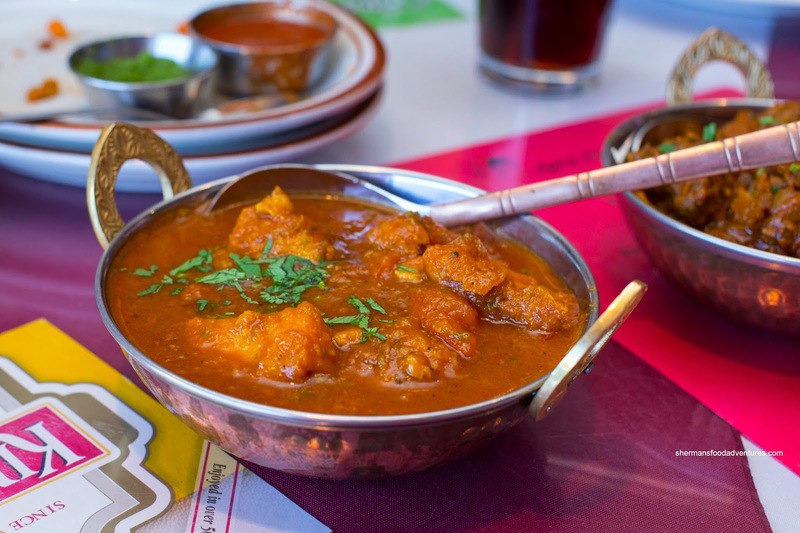 As for the Butter Chicken, it was more on the tomato paste side rather than being very creamy. I personally like it creamier. 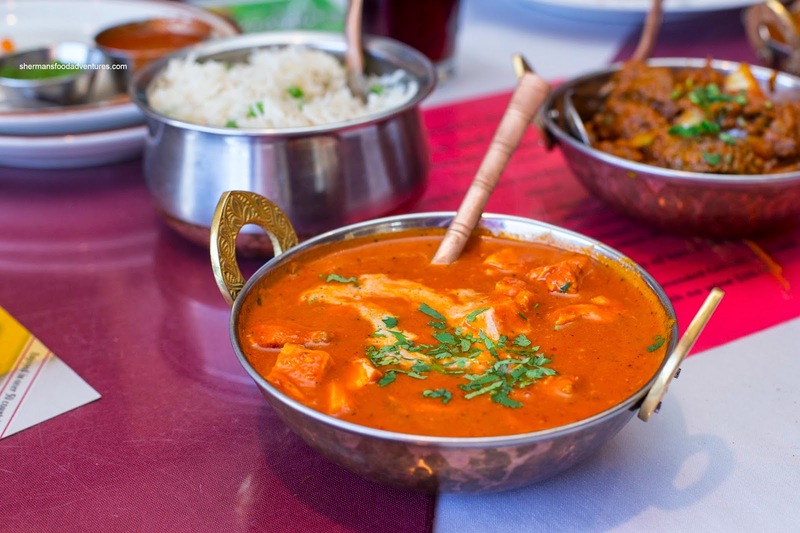 With that being said, it was not lacking in flavour as there was a noted level of heat as well as the usual spices. The chunks of chicken were a it small, but were moist. 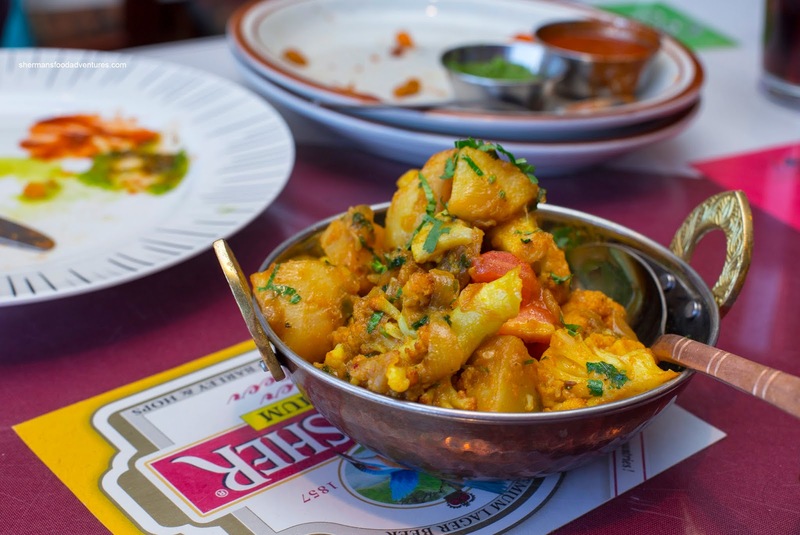 Next, we tried that Aloo Gobi which included large pieces of potato and cauliflower. Their textures were more on the firm side while not being hard. Flavours were mild with only the usual ginger and cumin notes coming through. It seemed like the flavours were not completely developed in this dish. 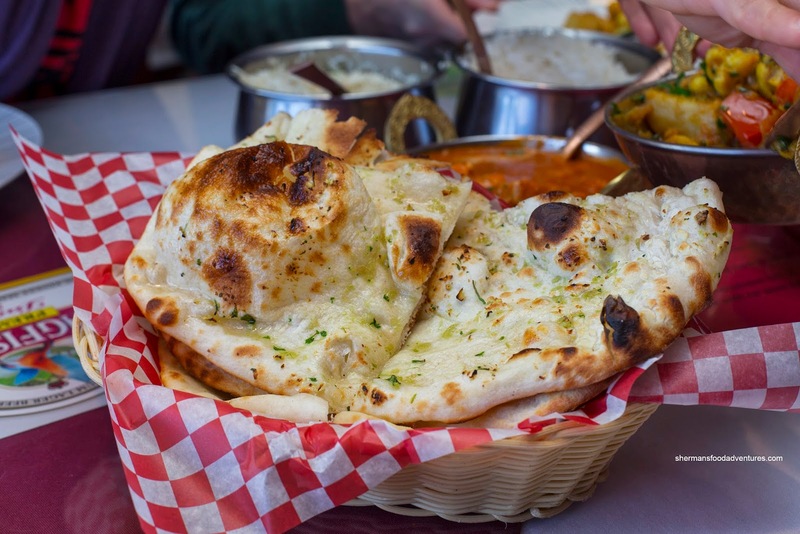 We got some Garlic Naan to go with our meal in addition to rice. These had nice charring with some crispy portions, otherwise we would've liked to see even more colour. They were mostly soft and slightly chewy. As for the garlic, it was quite evident. Our last 2 dishes were our favourites. 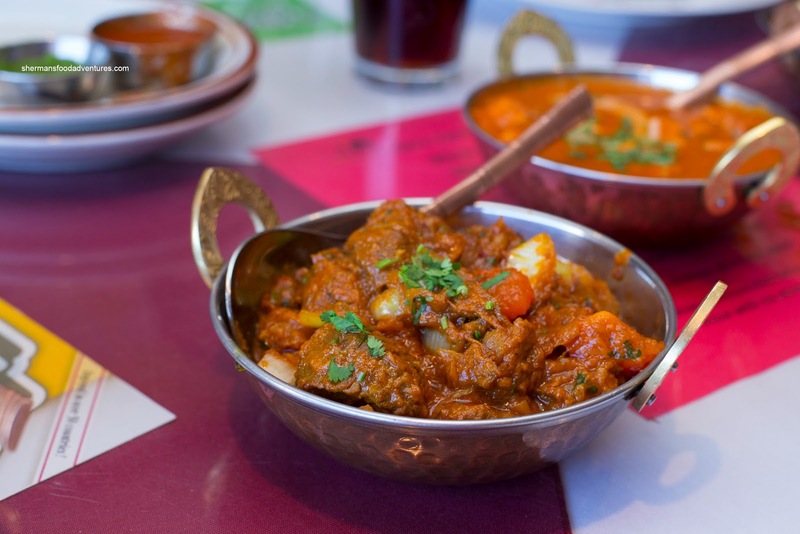 The Lamb Tikka Masala was full of flavour and spice. This one had depth of flavour (the beneficiary of the lamb meat and fats) where it had body and a decent level of heat. The lamb itself was really tender with that classic gelatinous fatty texture. Lastly, we had the Fish Curry which was chock full of moist and flaky fish. Flavours were on point as there was a good mix of ginger, cumin, coriander and spice. Overall, we were pretty satisfied with our meal. In addition, the service we received was attentive and friendly. 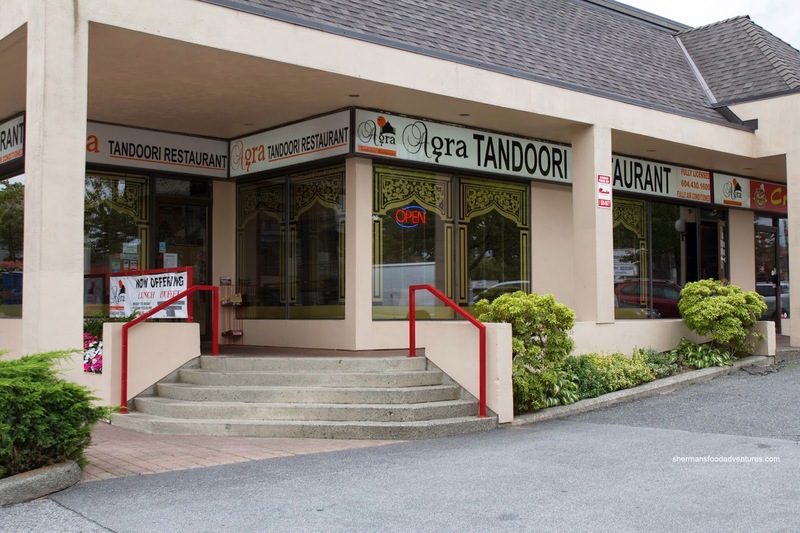 Agra Tandoori does the job for Indian food in Burnaby (as it isn't the hotbed of this type of cuisine), but I'd skip the buffet and do a la carte instead.